or call 501-422-0189. From the US, first dial 011. 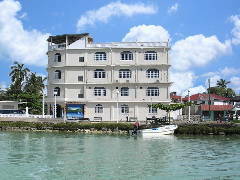 The Mirador Hotel, which is a Belizean owned and managed hotel, opened its doors to the public in August of 2006. Mirador, a Spanish word meaning “lookout or vantage point”, is the perfect name for the hotel. It is four stories high with a rooftop terrace and a cupola, where guests can relax in the hammocks and chairs. Many changes and improvements are being made, for example there is now a telephone in each room. 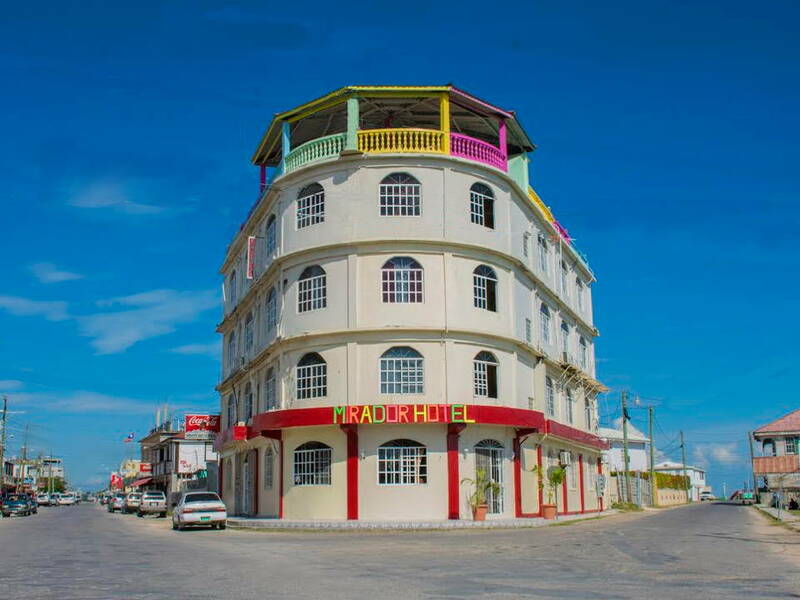 The management and staff at the Mirador Hotel are committed to making their services hospitable and tourism friendly. It already has the best location of any hotel in Corozal Town! A click on any small image on this site will get you a larger view. One of the most charming things about the Mirador Hotel is its location right on Corozal Bay. If you want to be close to nature, just open the windows and let the Caribbean breeze relax you. Beautiful Corozal Bay can be right out your window, and you can see people on their boats and the fishermen. 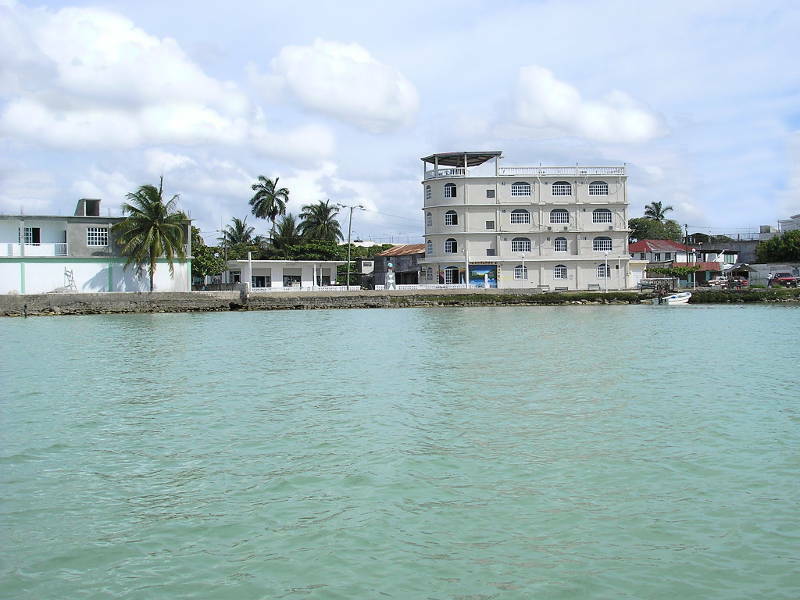 The hotel is strategically located in Corozal Town. In addition to being on the bay, it is next door to the town’s major shopping areas, central park, the library, churches, the post office,the police station, banks, and the market. Everything you need is literally within a short walk. And to stay connected to the world, there are free wireless internet connections in all rooms and computers with internet access for rental in the lobby. Printed from https://mirador.bz — Mirador Hotel.